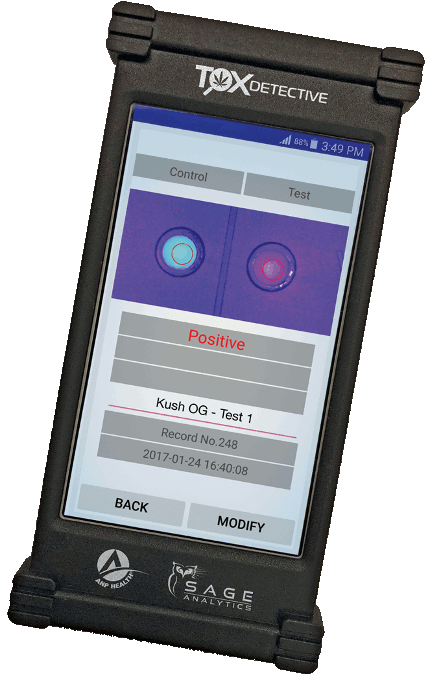 The fastest, most cost effective, portable field testing device that let's you know if your cannabis is contaminated with pesticides, insecticides, or fungicides. 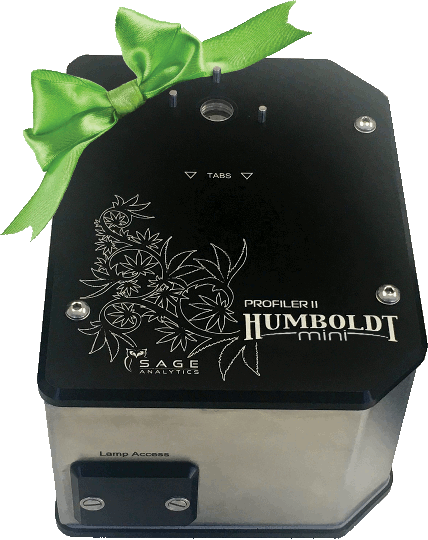 A small, but mighty cannabis profiler, that makes knowing the potency of your buds and extracts simple and affordable. Real Science. Real-Time. Real Simple. 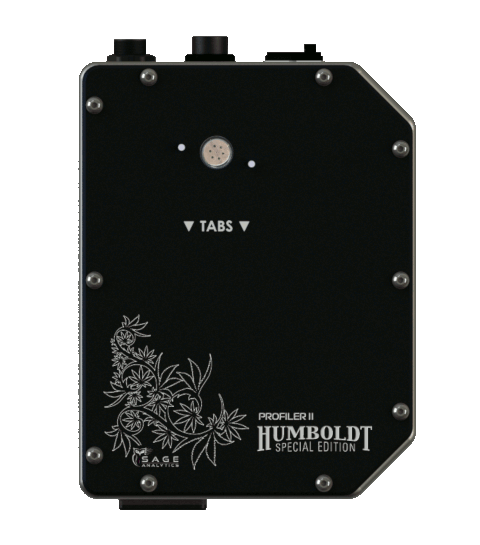 The new gold standard for cannabis potency testing. Sage wants you to know. Sage announces a new software upgrade. of the cannabis supply chain. For the first time, growers can bring potency measurement right to the field, blending precise science with the art of growing cannabis. Extract Producers now have a practical and efficient way to ensure consistent potency and product experiences for their customers. 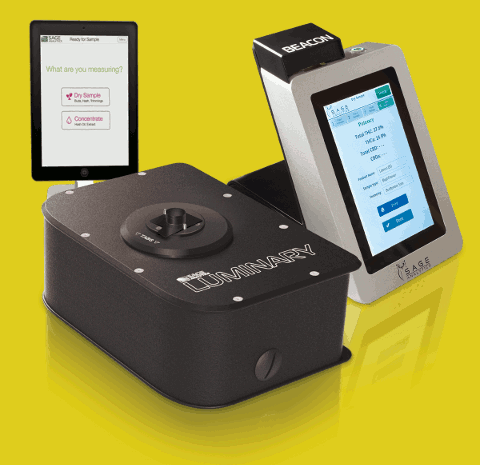 Enables laboratories to satisfy the demand for high volume testing requirements across the cannabis industry at a fraction of the time and cost of traditional equipment. Dispensaries can now know exactly what they're purchasing from suppliers and can offer this on-site, immediate potency information to patients. No matter what side of the cannabis legalization debate you happen to fall, there is one thing that everyone can agree on; the importance of knowing, without a doubt, the potency of what you ingest. Up until now, this has been easier said than done. Testing methods have been costly and time-consuming, with questionable accuracy. 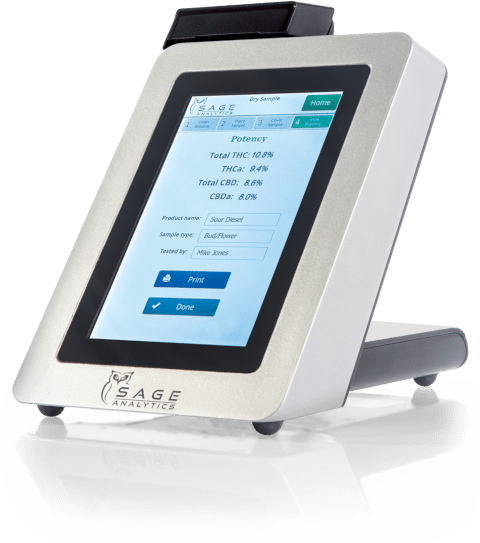 But now, with the Beacon and Luminary Profiler from Sage Analytics, there is a fast, economical, reliable and accurate way to test for cannabis potency. 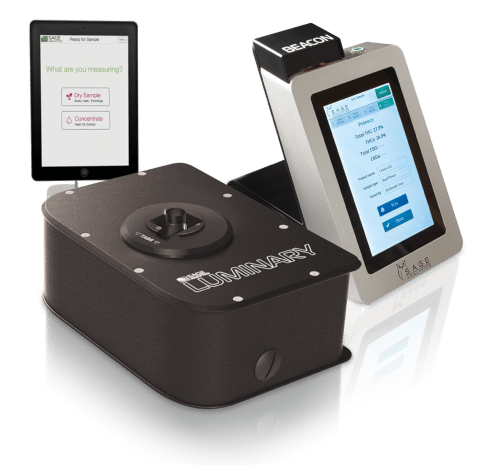 Using NIR Spectroscopy (the FDA approved, testing technology standard throughout the pharmaceutical industry), the Beacon and Luminary Profiler accurately tests potency in a matter of seconds. Find out just how much you could be saving by reducing your reliance on 3rd party testing labs for all your potency testing needs. See how easy it is to take a potency measurement of flowers and concentrates.